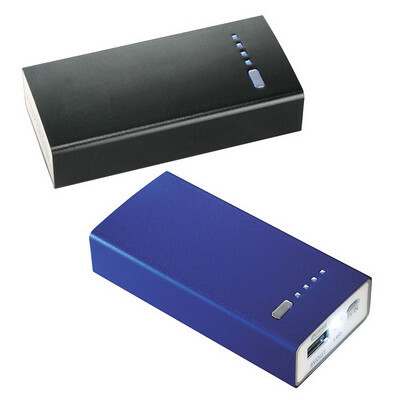 Description: The 4,000 mAh battery capacity on the Farad Charger is powerful enough to charge an iPhone and Android Smartphones from Samsung. The 5V/1A USB output means that is will charge at the same rate of most wall chargers. Available in 2 colours. Features: Includes a USB to Micro USB connecting cable which can recharge the power bank or can be used to charge devices with a Micro USB input like Android Smartphones from Samsung, Motorola HTC, Nokia and others. Packaging: Charger is packed in a bubble bag, cable and manual are packed in a plastic bag, all items are presented in a plain black tuck box. Packaging Size: 117mm(w) x70mm(h) x 35mm(d) Colour: Black Material: Aluminium Product Size: 95mm(h) x 44mm(w) x 19mm(d) Freight details : 60 per carton, 11kgs, 31.5 x 23 x 24cms; Decoration Type(s): Colour Print / Laser Engrave / Print with Dome Decoration Area: Pad: 25mm(h) x 50mm(w). Price includes : 1 Colour 1 Position Print. Setup is included.